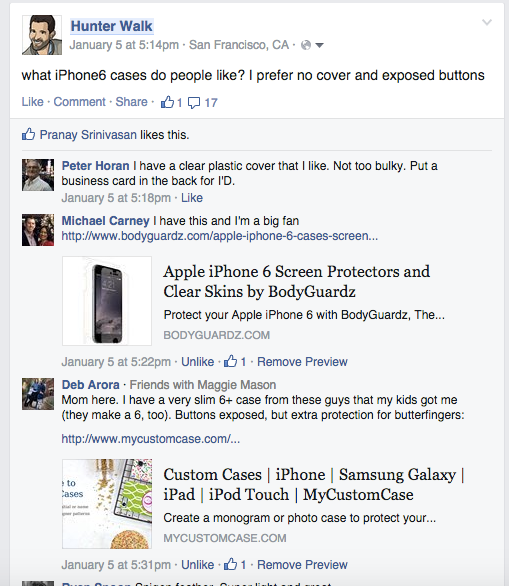 “What iPhone case should I buy?” That was the question I posted to Facebook and within 24 hours had a dozen+ responses from trusted connections. Facebook (and Twitter) have tremendous commerce businesses, it’s just today they’re hidden from view. 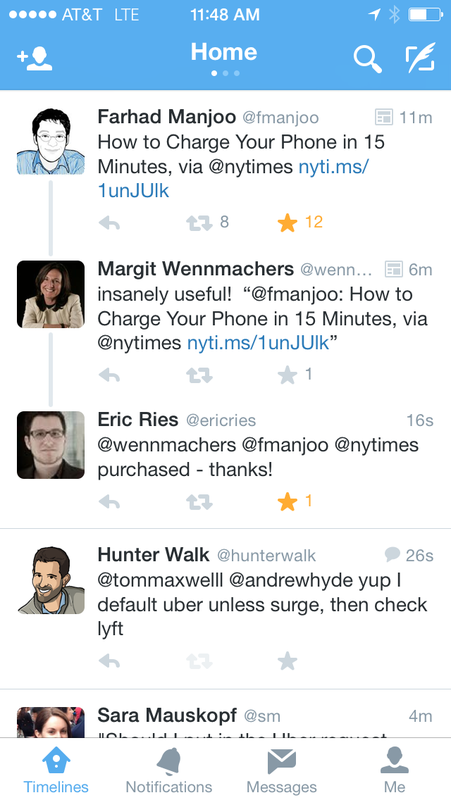 They occur in comments and questions. They sometimes contain links – so at least there’s referral traffic – but often it’s cut/paste of text recommending a gadget, a band, a book. Today Twitter, Facebook just sell ads against this data or adjacent to these types of posts but it’s inevitable that they’ll remove friction from transaction flow over time (Twitter commerce cards!). On top of that it’ll be interesting to see how they can use this data not just for targeting but to make their search boxes more valuable. Today my iPhone case discussion is pretty much lost to the world once it’s no longer deemed current in people’s timelines, but the contents actually have value to anyone doing similar research. Maybe that’s just not their DNA but man, I’d love to see what a bunch of search engineers and data scientists could do with this info….